As I was cleaning out my closet recently, it struck me that a chapter in my life has ended. For years, I hid my perceived imperfections with Spanx and baggy shirts. Nearly one year ago, I made the decision to have a tummy tuck with liposuction at CosmetiCare. The decision was transformative and freeing, but still a difficult one. I had never undergone surgery, and I was admittedly nervous. Dr. Von Maur and his staff at CosmetiCare were invaluable in helping me understand my medical and surgical options, in spite of my numerous questions. Among them was the question of whether or not to choose CoolSculpting® or Liposuction. Technological advancements have expanded the number of available, FDA-approved, non-surgical methods of fat reduction. According to the American Board of Cosmetic Surgery, they include CoolSculpting, SculpSure, Kybella, UltraSlim, and Ultrasound. Alternatively, liposuction is a surgical procedure performed under local or general anesthesia to permanently remove fat cells in the targeted location. When I first consulted with CosmetiCare to address my areas of concern, I learned that a tummy tuck with liposuction was the preferred method for successfully fixing my diastasis recti and loose skin. I was admittedly conservative in my approach, and opted for limited liposuction in the area my surgeon was treating. 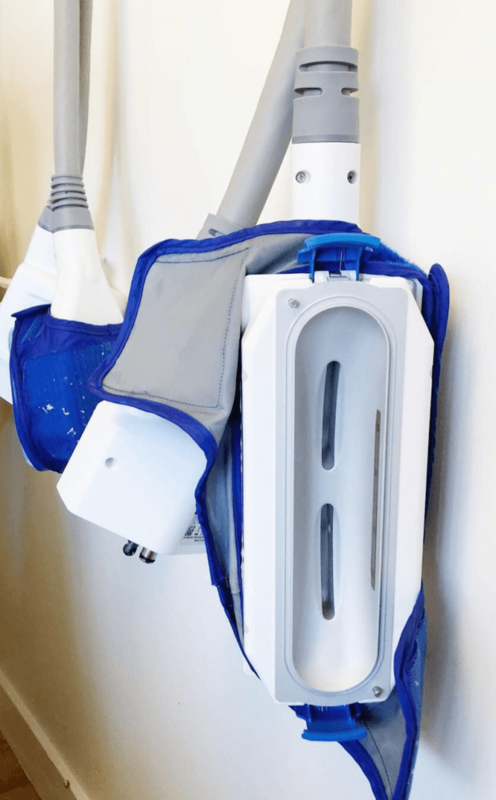 I began considering CoolSculpting several months after undergoing a tummy tuck. I preface this by saying that I was and still am completely satisfied with my results. However, I had some stubborn spots on my flanks that I opted not to address when I had my tummy tuck. 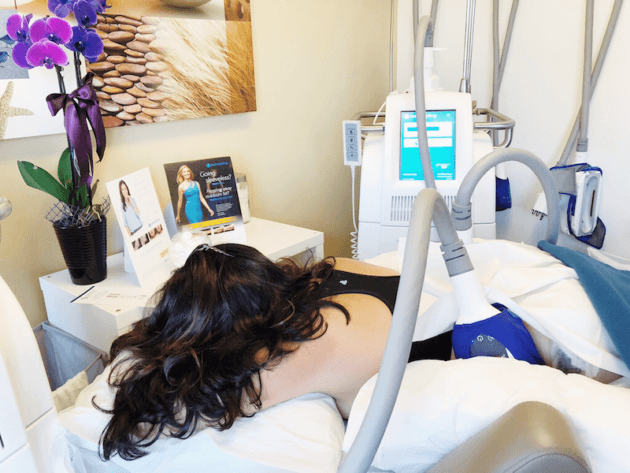 Having undergone a surgical procedure, I was looking for a non-invasive method of reducing fat in that area with minimal downtime. How much fat do you want to lose? On average, those who undergo CoolSculpting will see up to 25% fat reduction per treatment cycle with minimal to no reshaping. Liposuction can be used to reduce fat and refine/sculpt a person’s shape when the percentage of fat reduction desired exceeds 20-30%. Results also tend to be more dramatic and longer lasting. How much time do you have? CoolSculpting takes just 30 to 60 minutes and can be performed in the office without anesthesia. The discomfort is minimal, and normal activities can be resumed immediately. It is important to note that CoolSculpting frequently requires multiple cycles in order to achieve desired results. Additionally, full results may not be seen for 2-3 months as the body eliminates the fat cells that were destroyed during the procedure. Liposuction is a surgical procedure that requires anesthesia and a downtime of up to 1 week. There is noticeable discomfort and swelling, all of which can be controlled and minimized with analgesics and compression garments. The advantage to Liposuction is that the procedure is done once and the results are noticeable immediately. What is your budget? CoolSculpting is priced out per cycle. According to CoolSculpting.com, this can vary between $2,000 and $4,000, depending on the number of areas being treated. According to the American Society of Plastic Surgeons, the average cost of liposuction is $3,374. As you begin to finalize your decision, it might be helpful to see the benefits and limits of surgical and non-surgical fat reduction at a glance. Remember that after going through this list, it is important to consult with a board certified plastic surgeon, who can evaluate your body type and desired result to determine which procedure is ideal for you.